Three top firms in Australia and New Zealand have confirmed that they have a hand in a major trans-Tasman energy industry deal. Gilbert + Tobin (G+T) is acting for Beach Energy on its successful $1.59bn bid to acquire Lattice Energy, the conventional upstream oil and gas business of Origin Energy. Handling the New Zealand aspects of the deal is Chapman Tripp. Advising the vendor is Herbert Smith Freehills (HSF). Adelaide-based Beach will acquire all issued shares of Lattice, which has a portfolio of assets in both Australia and New Zealand, including interests in the Otway, BassGas, HBWS, Kupe, Cooper Basin, and Perth Basin gas projects. The sale includes long-term gas sale arrangements between Beach and Origin. The sale is being funded by a $1.58bn syndicated debt facility and a $301m offer underwritten by Credit Suisse, Goldman Sachs, and UBS. The deal is subject to New Zealand Overseas Investment Office and New Zealand Minister of Energy and Resources approval. G+T is mobilising lawyers from its corporate advisory, energy and resources, and banking and finance practices for the deal. Its transaction team is led by partners Peter Cook and Chris Flynn. They are assisted by lawyers Tim Kennedy, Lester Lim Kok, Shelley Burger, Christopher Marchesi, and Henry Cornwell, and graduate Denitsa Vasileva. 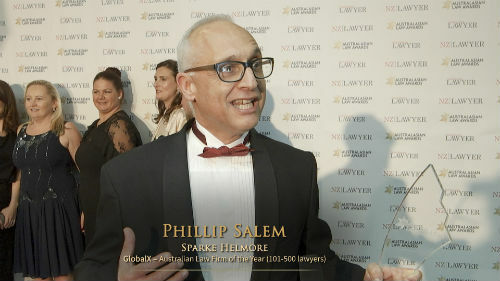 This team is assisted by technology, media, and telecoms partner Michael Caplan, competition and regulatory partner Simon Muys, native title partner Marshall McKenna, special counsel Albert Yuen, and lawyer Rohan Westbury. It is also aided by the firm’s tax, environment, litigation and disputes, employment, and property groups. G+T’s equity capital raising team is led by partners Peter Cook and Adam D’Andreti, aided by lawyers Kevin Ko and Lily Zhang. The firm’s team advising on the debt financing is led by partners Simon Lynch and Adela Smith, assisted by lawyers Melissa Ramsay and Corrie Eames. Chapman Tripp’s team is led by partner Josh Blackmore, senior associate Simon Peart, and solicitor Tom Jemson. HSF’s team, which is working closely with Origin’s in-house legal team, is jointly led by partners Robert Merrick and Rebecca Maslen-Stannage. Merrick, along with partners Stuart Barrymore and Jinny Chaimungkalanont; special counsel Jau-Shi Liew; senior associates Chelsea Herman and James Sippe; and solicitors Claire Russo, Patrick Corrigan, and Nick Harding, are advising Origin on the restructuring and sale of Lattice. Maslen-Stannage, along with executive counsel Michelle Palethorpe and solicitor Claire Koller-Smith, are advising on the potential IPO. Partner Graeme Gamble, senior associate Lynda Tully, and solicitors Mitchell Tatam and Alexander Butler are advising on the long-term gas sale arrangements. Partner Damien Bailey and solicitors Juliet Zhu and Mark Khouri are advising on the transitional service arrangements. Origin’s in-house legal team includes Daniel Krutik, Cher Bartlett, Jessica Edwards, Paul de Wet, and Neil Tracey.